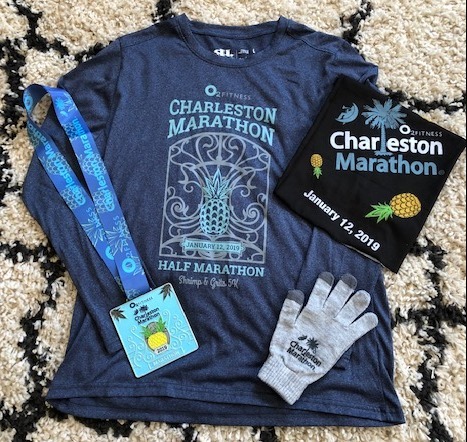 I’ve had the Charleston Marathon on my list for years! The race always falls on the second Saturday of January. That’s a popular weekend for many races in the southern states. Since my long term goal is to run a marathon in every state, I try to pick races that fit into my schedule AND are also in a new state. 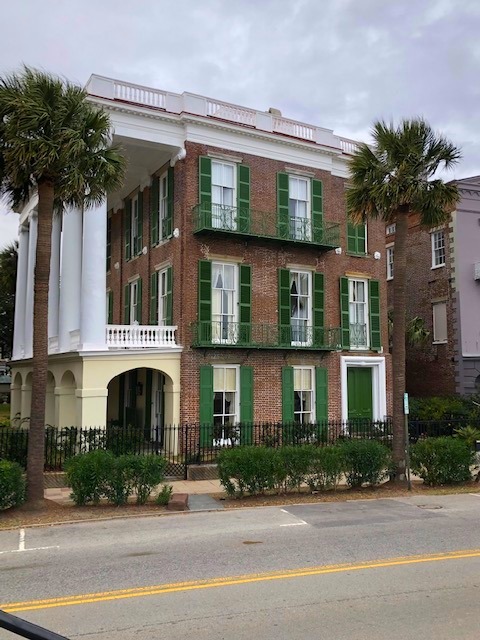 I finally made it to Charleston this year to check off South Carolina, my 31st state. I was really looking forward to this race. Charleston is one of my favorite places. I love the location, the weather, the town and the people. The city never disappoints and I basically begged my friends to go run the marathon with me because of those reasons. Thanks, Tamyra & Julie for making the trip with me! We rolled into town on Friday for the Saturday (1/12/19) race. The expo was in downtown Charleston at the Gaillard Center. Easy in/out. Small expo. Metered parking. Cool SWAG. A long sleeve tech tee, which is about the only type race tee that I actually wear, plus a buff & gloves! All very useful. The race was on Saturday morning at 7:15am. We stayed in a hotel that was close to the start and were able to walk over. It was about 40 degrees with a cool breeze. The start area was at a local high school. 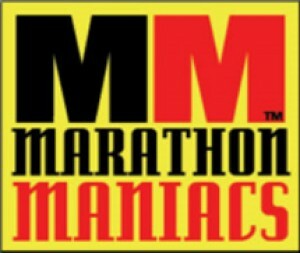 Runners and spectators were able to wait inside & even use the school bathrooms, if they had time. Race started on time and we began our 26.2 mile tour of the area. 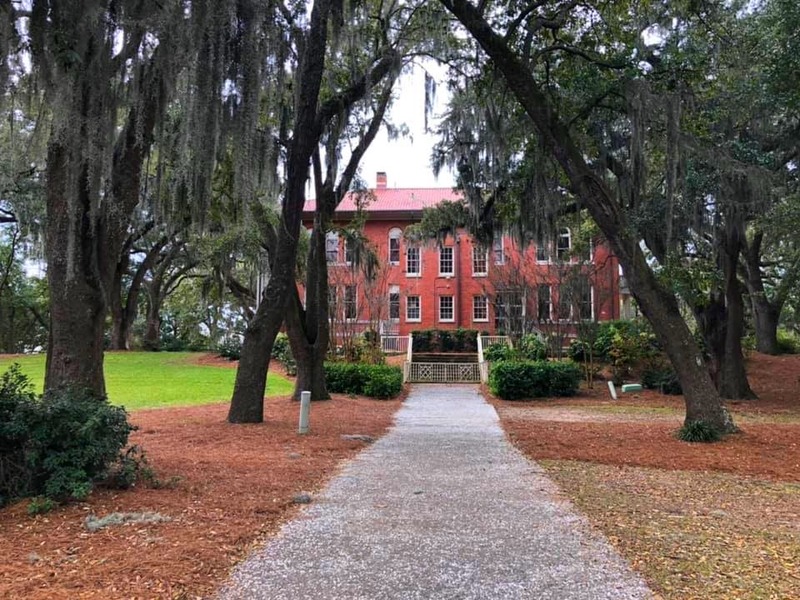 First up, Hampton Park, the Citadel & the Battery (my favorite area). Then we turned down King Street, which is known as the art & shopping area. New and old mixed together. 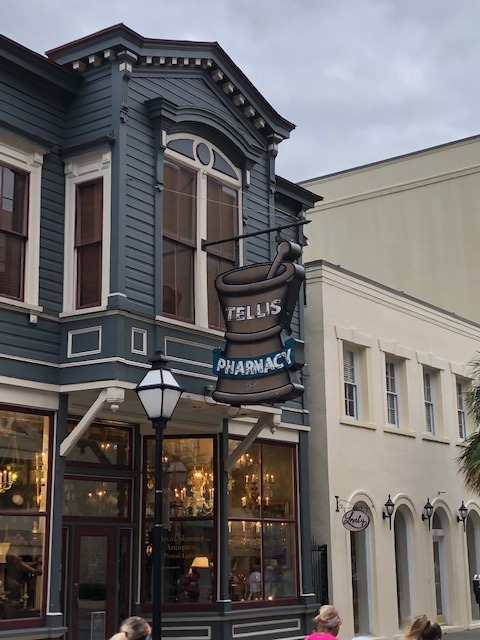 I loved this old pharmacy sign. 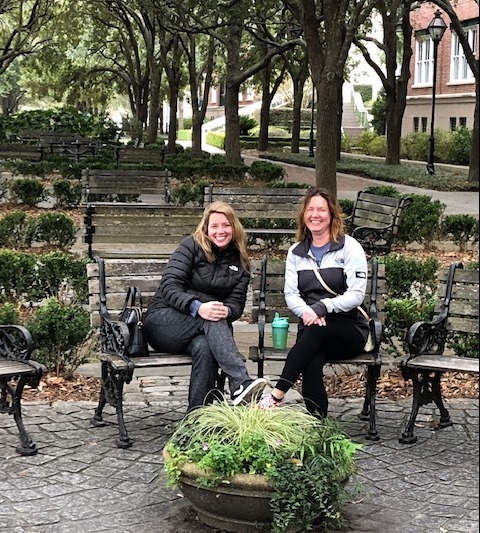 Once we got thru the shopping district, we headed out of Charleston toward North Charleston. I’ll be honest, the sightseeing kinda stopped when we left Charleston between mile 7 & 8. 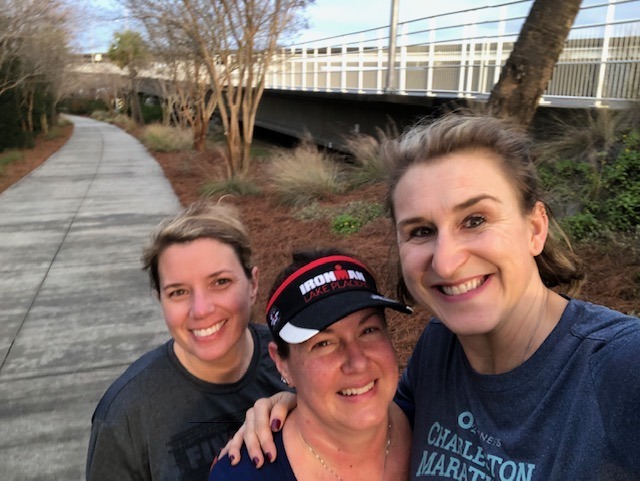 It was a long way up to North Charleston, we did run thru some sort of Government area that allowed us to see some of the swampy areas but it was a lot of time with just us, the road & our fellow runners. We made fast friends with those around us to pass the time. There were a couple spots with live entertainment. Aid stations (and potties) were every 2 miles or so. Lots of water, Gatorade & GU brand gels. The volunteers & police support were great. The skies were overcast most of the day and the temps were 40s to low 50s. Great weather for those of us who came from the northern states! Once we got up to Riverfront Park in North Charleston, it was around mile 18. The half marathon runners turned off to finish, the full marathon runners went out and looped North Charleston. This is the map from my watch, if you want to see the course. 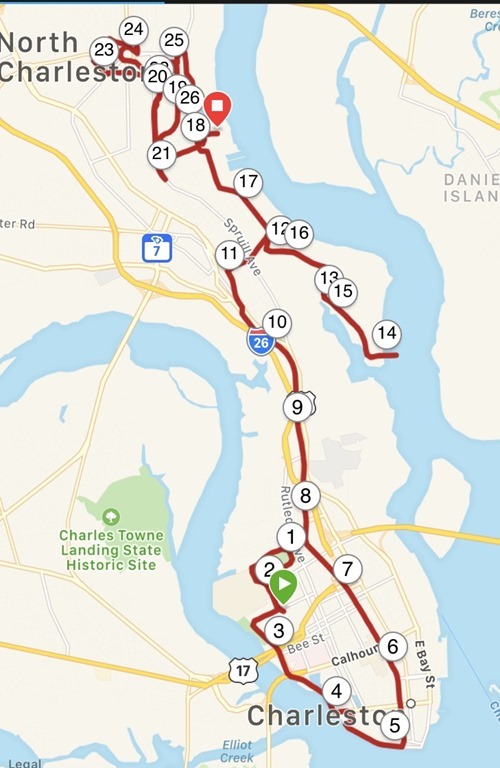 We could hear the finish line music and fun during a lot of the 8 mile loop around North Charleston and it was a welcoming return as we headed back to Riverfront Park. Cute area & a great place for the finish line festival. The finish festival greeted us with music, food & several varieties of Sam Adams beer, plus mimosa’s. Plenty of space to hang out with the family. But the temps were cool and it was windy so we headed for the buses to shuttle us back to Charleston as soon as all of us finished. No lines for the buses! Huge win! And just like that marathon #52 was in the books. 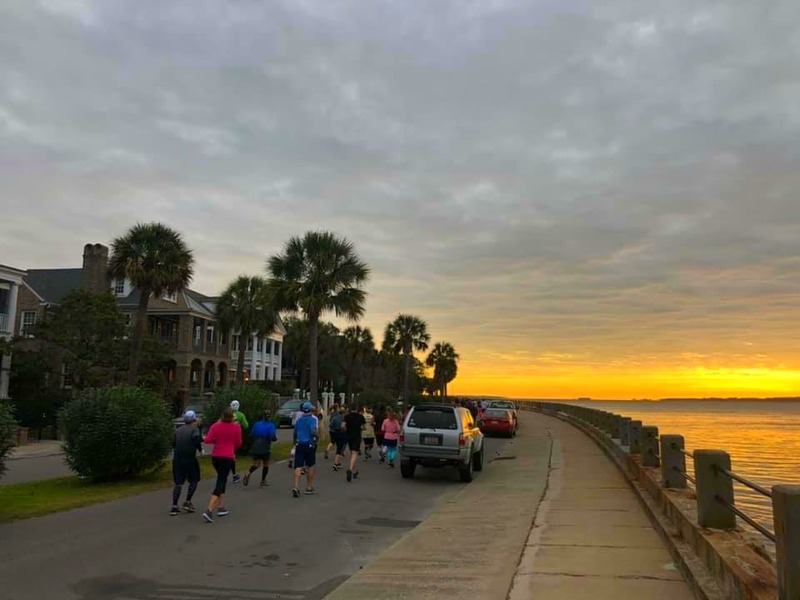 I was a bit disappointed that the race didn’t showcase more of the great city of Charleston. Especially the bridges that go over the Coopers River. 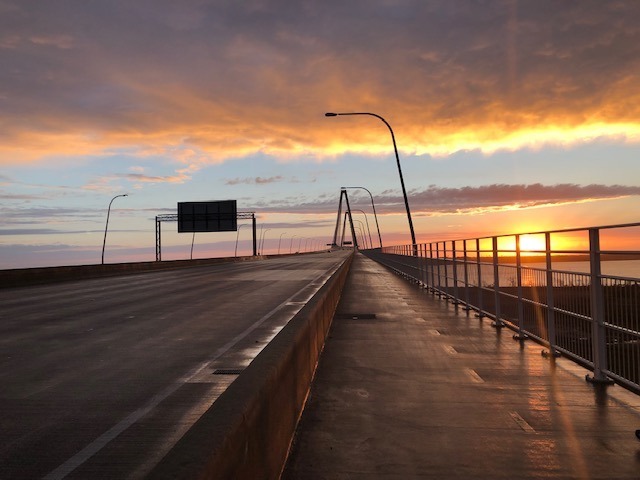 So we got up early and went to run the Arthur Ravenel Bridge on Sunday morning before starting the drive home. 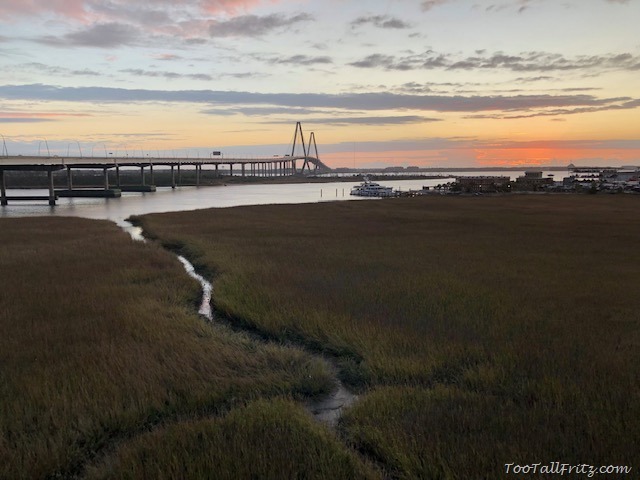 This bridge goes from Charleston to Mount Pleasant. There is a walking/running/biking section on the bridge and it’s a popular spot, any day of the week. My favorite time of day is always sunrise, so we started early enough to catch the sun coming up. 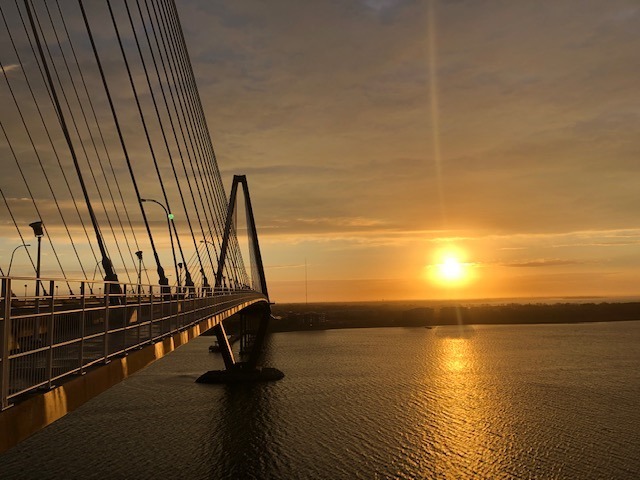 If you want more information on Charleston, the bridge, or would like to see more photos, check out my previous post from a visit in 2015: Charleston SC, I Ran That Town.